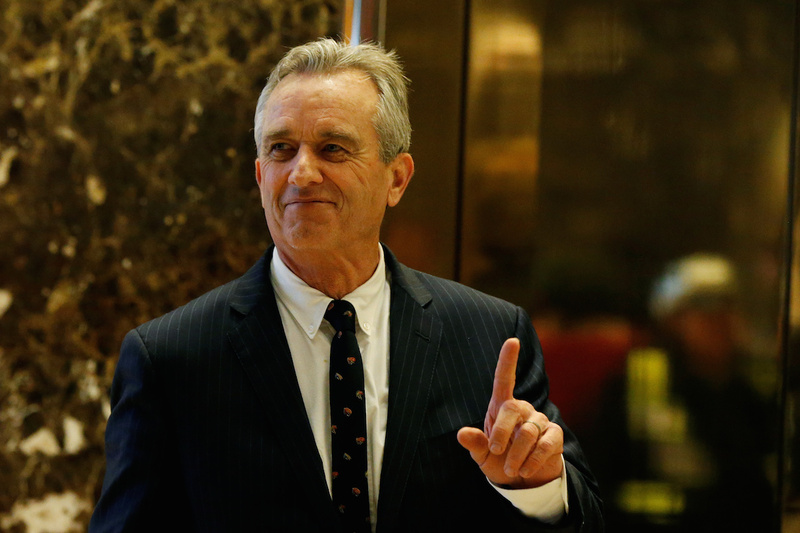 Trump Meets With Vaccine Skeptic Robert Kennedy Jr.
President-Elect Donald Trump has asked vaccination skeptic Robert Kennedy Jr. to chair a commission on “vaccine safety and scientific integrity,” a move that is likely to anger public health professionals. Kennedy Jr., who visited Trump Tower on Tuesday at the request of Trump, said after the meeting that he had agreed to chair the commission and that he was invited to discuss the vaccination and immunization issue by the president-elect. The purpose of the commission will be “to make sure we have scientific integrity in the vaccine process for efficacy and safety effects,” Kennedy Jr. told reporters after the meeting. “President-elect Trump has some doubts about the current vaccine policies and he has questions about it,” said Kennedy Jr., who is the son of former attorney general Robert Kennedy. The vaccine-autism link gained traction in 1998 in a now-retracted article in “The Lancet,” a British medical journal. The author of the article, Andrew Wakefield, claimed that autism was linked to the administration of the measles, mumps and rubella (MMR) vaccine in children. The paper was fully retracted in 2010, but not before an entire movement developed against childhood vaccinations. As Kennedy Jr. noted, Trump has bought in to some aspects of the debunked theory. In 2014, Trump said that he is not opposed to childhood vaccinations. Rather, he said he opposed how they are administered. This article has been updated to reflect new information about the meeting.